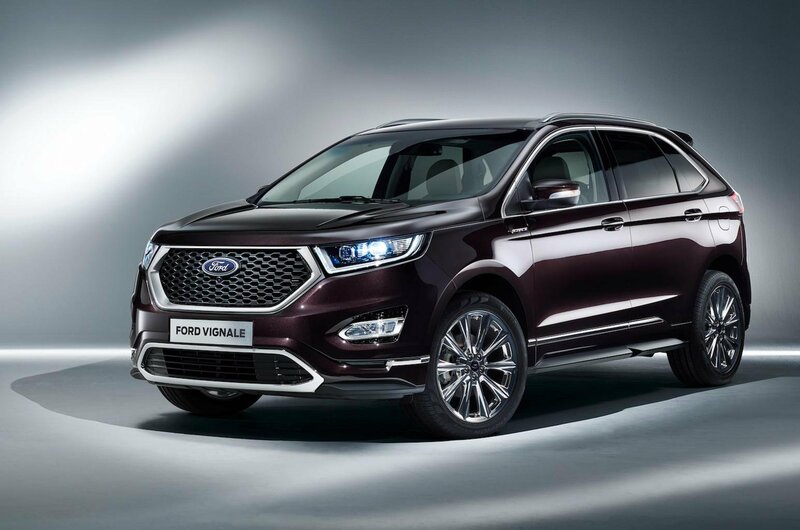 Ford reveals new Vignale line-up with Edge, Kuga and S-Max | What Car? 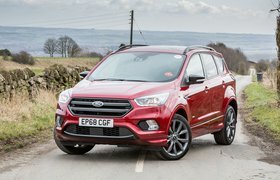 Luxurious, top-spec trims for Ford's SUVs and MPV. The Edge Vignale shown in Ametista Scura Brown and White Platinum has a dark matte Vignale hexagonal upper grille design with a polished aluminium surround. The new Ford S-Max Vignale was also revealed, in an exclusive Milano Grigio exterior colour and in White Platinum. A concept version of the forthcoming Ford Kuga Vignale also made its world debut at the show. All models feature unique chrome detail foglamps and come on 19in polished aluminium wheels. Inside, there are hexagonal-quilted Windsor leather seats, alongside leather-trimmed door trims and a leather centre console, all finished off with bespoke tuxedo stitching. Also shown was a five-door version of the Mondeo Vignale. What engines can I choose from? Specific engine details are yet to be revealed, although the range will include the bi-turbo 2.0-litre TDCi diesel, which produces 207bhp. We also expect a similarly powered petrol unit to join the range. What equipment does it come with? Standard on all models is Ford’s Sync3 infotainment system. It features an 8.0in touchscreen with swipe and pinch capability. The system has a new voice control function, which enables people to speak commands, such as "I need petrol", or "I want coffee", to which the system will respond by setting the satnav to find suitable shops nearby. Ford’s new Vignale Service app is also included, offering content from the Vignale magazine in digital format, as well as driving tips and travel information. Official prices have yet to be announced. However, the current Vignale Mondeo starts at £29,345, which is £6100 more than the range-topping Titanium trim. We expect the same level of premium to be applied to other models. Orders are currently being taken for the Ford S-Max Vignale model.